If you are using VirtueMart for your shop and you need to start a business to the fullest, you have only one opportunity to do it. Migrate to PrestaShop using this module. You do not need programming skills or knowledge of database queries. - Customers import is only a supplementary function. 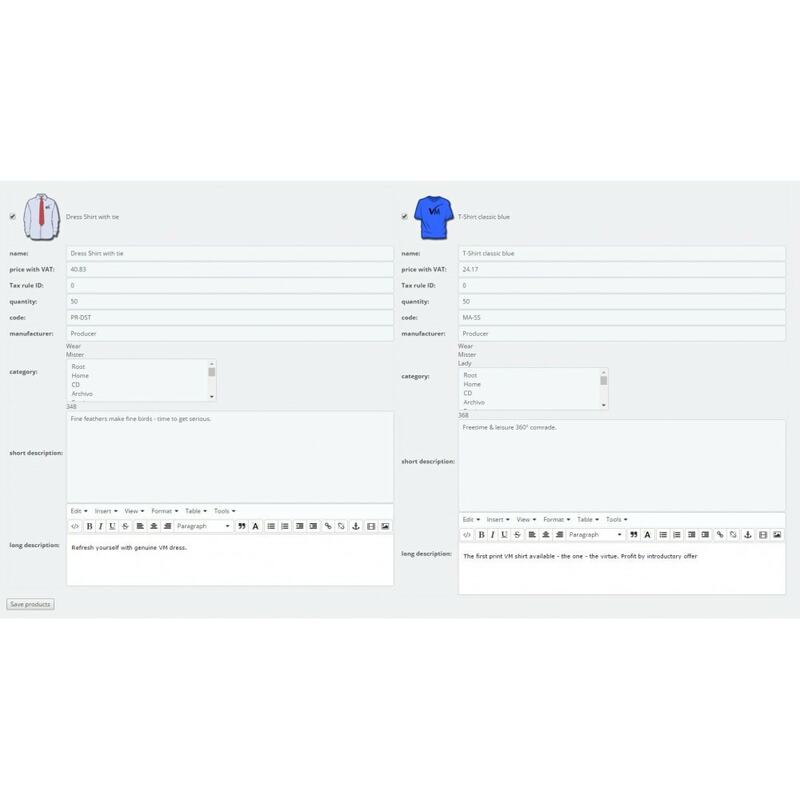 Customers passes several filters before exporting to meet the conditions for import into Prestashop (in particular existence of e-mail). Hence it will be possible to import only the part of customers. - Orders import not implemented! For proper function you need access to administration e-shop with VirtueMart, because you need to install into Joomla component with which the module communicates. Added "check all" / "uncheck all" button to products and categories pages. 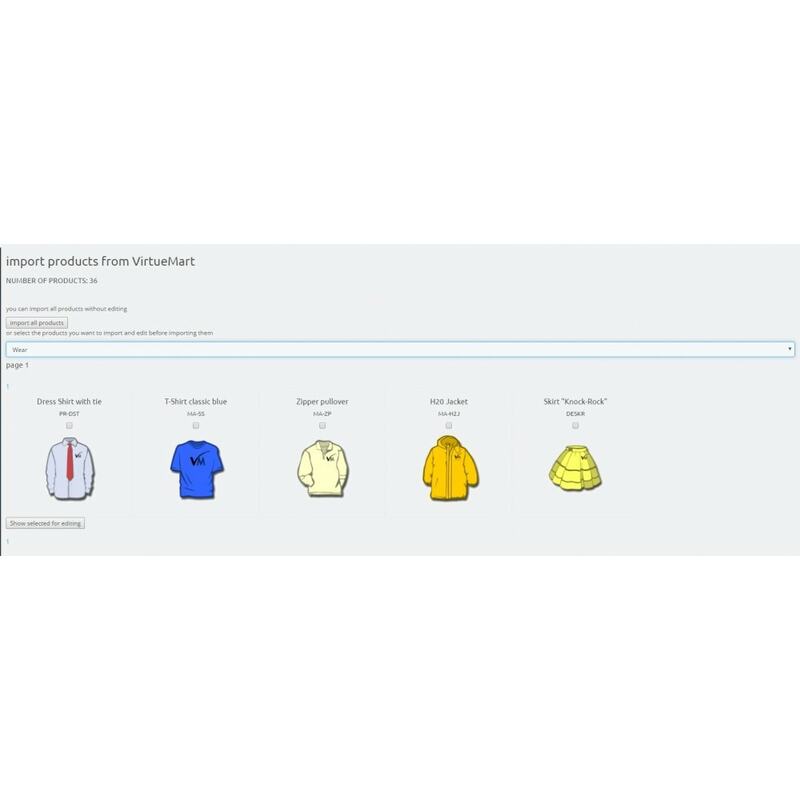 Added "import selected products" button to products page. Will import products without editing. 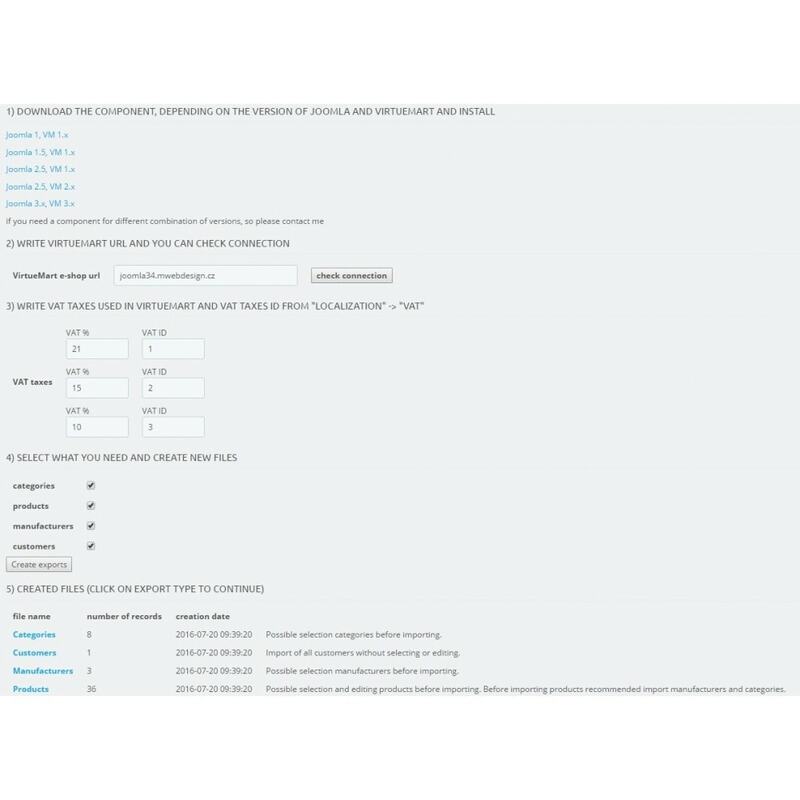 Added additional filters to ensure greater compatibility between the VM and Prestashop products.